We can restore your teak furniture to it’s original color and smooth finish. Teak furniture left untreated, or older pieces that have aged, will deteriorate and turn gray with exposure to the UV of the sun. We can refinish your Teak Outdoor furniture! 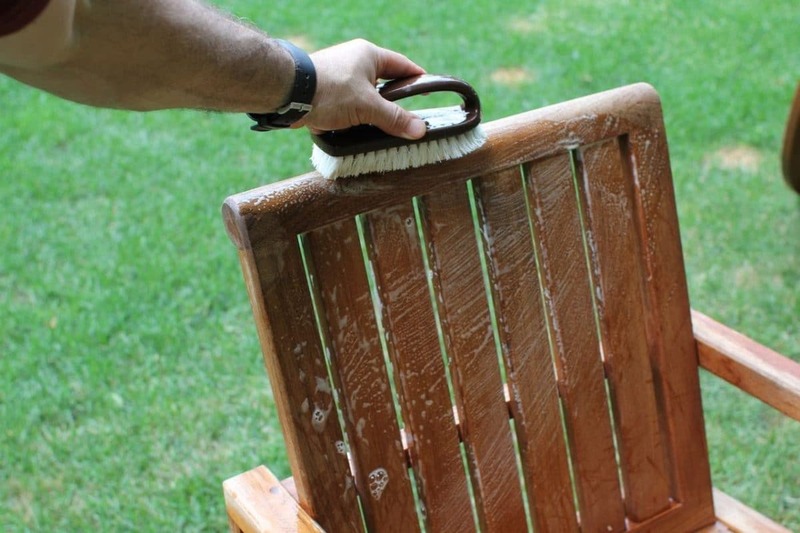 Teak Restoration includes cleaning your furniture with a surface wash. This removes all the dirt from the grain of the wood. If necessary, we use bleach to remove mold, and we scrub the furniture by hand to bring the teak back to its original color. Once it is dry, we will then sand the teak back to its natural texture. Multiple levels of sanding may be required with older furniture that has raised grain. 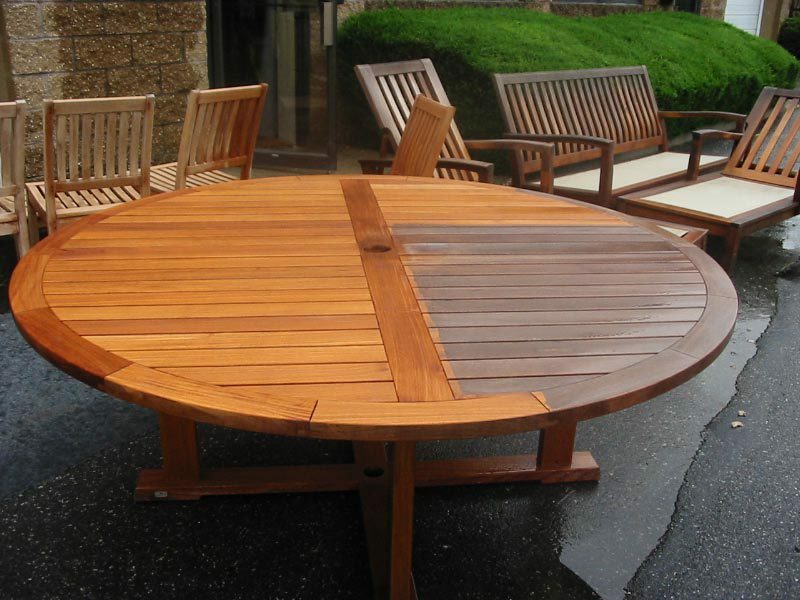 Once the teak is restored to its natural state, we apply a sealer for UV protection. 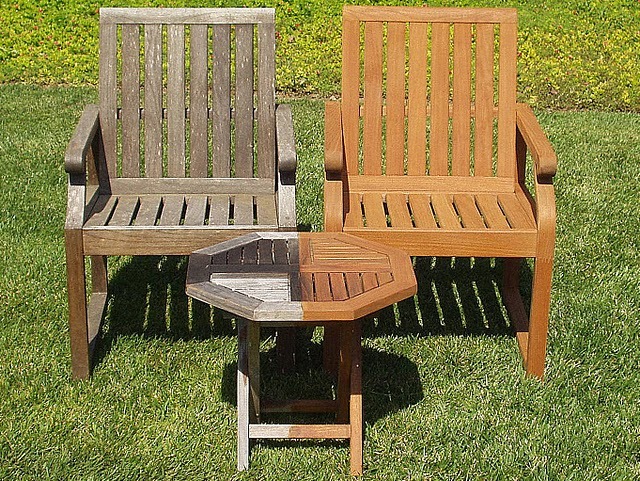 No sealer will permanently prevent Teak from graying with exposure to sun. How often you will need to refinish your teak depends on how much sun the furniture typically receives, and if you cover it during the rainy season. If you re-apply a teak sealer at least once a season, you may never have to completely refinish the furniture, but once the furniture starts to gray, refinishing will be required. Typically, our customers tend to have us refinish about every 2-4 years depending on how the furniture is maintained. As part of our refinishing service, we pick up your furniture and bring it back to our facility to do all the work, and then return it looking like new.